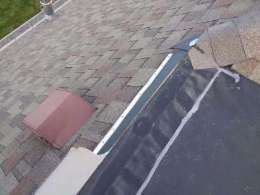 1) Safety, Repair/Replace, Evaluate - One trip hazards were/were found in the driveway due to cracks, settlement and/or heaving. 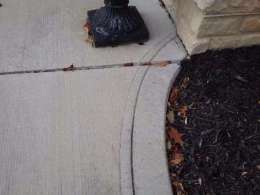 Recommend having a qualified contractor evaluate and repair or replace driveway sections as necessary to eliminate trip hazards. 2) Safety, Repair/Maintain, Evaluate - Guardrails/handrails were missing from sections of elevated surfaces with "high" drop-offs. This is a safety hazard due to the risk of falling. Guardrails should be installed at drop-offs higher than 30 inches, but in some cases it is advised to install them at shorter drop-offs. Recommend installing as necessary. 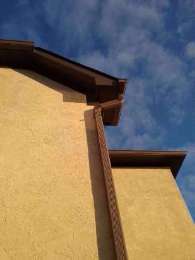 4) Repair/Maintain, Evaluate, Conducive conditions - Siding was damaged and/or deteriorated in small areas. 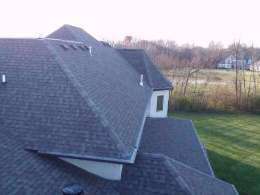 Recommend evaluation and correction as necessary to help prevent water intrusion. 6) Repair/Maintain, Conducive conditions - Vegetation such as trees, shrubs and/or vines are in contact with or less than one foot from the structure's exterior. Vegetation can serve as a conduit for wood destroying insects and may retain moisture against the exterior after it rains. 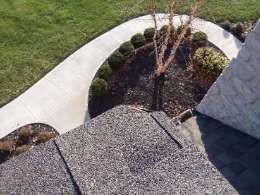 Vegetation should be pruned and/or removed as necessary to maintain a one foot clearance between it and the structure's exterior. 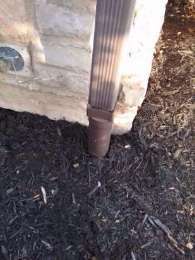 7) Repair/Maintain - 2 downspout(s) were barely connected/not connected to the buried drain line. 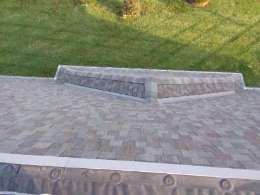 Recommend extending them to help ensure connection and proper routing of water away from the home. 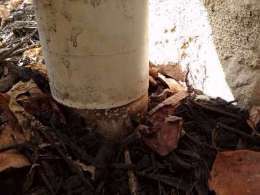 8) Repair/Maintain - Sump discharge pipe was not connected or not connected well. 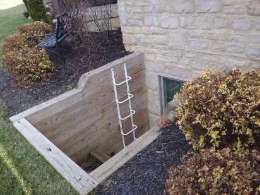 Recommend connecting to ensure water is directed away from the foundation. Often these get routed into buried drain lines. 9) Repair/Maintain - Downspout support strap was detached. 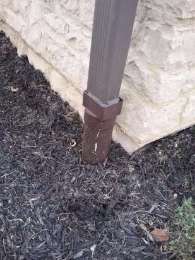 Recommend securing to prevent damage to downspout. 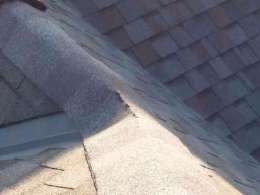 10) Comment, Conducive conditions - Downspouts terminate above roof surfaces rather than being routed to gutters below or to the ground level. 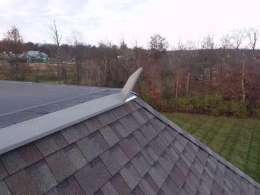 This is very common, but it can reduce the life of roof surface materials below due to large amounts of water frequently flowing over the roof surface. 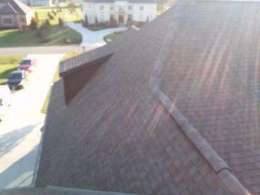 Granules typically are washed off of composition shingles as a result, and leaks may occur. 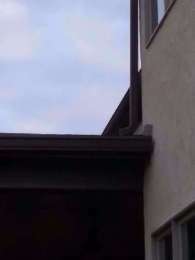 Recommend considering installing extensions as necessary so downspouts don't terminate above roof surfaces. 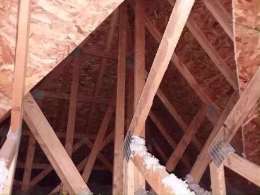 11) Repair/Replace, Evaluate, Conducive conditions - Gaps were found in 1 roof surface seams. These may result in leaks. Recommend evaluation and repair/sealing as necessary. 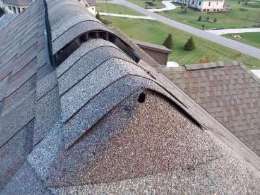 12) Repair/Replace, Evaluate - The siding/trim on one exterior walls above lower roof sections was in contact with or had less than a one inch gap between it and the roof surface below. 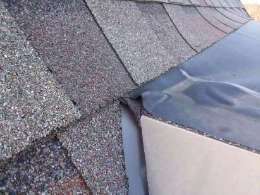 A gap is recommended so water isn't wicked up into the siding from the shingles below (important mainly if wood siding/trim is used). 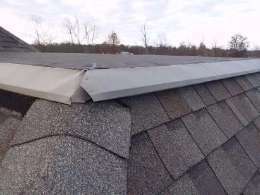 The gap is also to provide room for additional layers of roofing materials when the current roof surface fails. Consider improving. 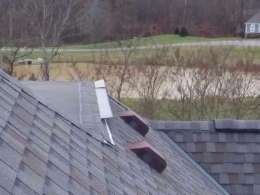 13) Repair/Replace, Evaluate - Damaged/lifted flashing at flat roof. 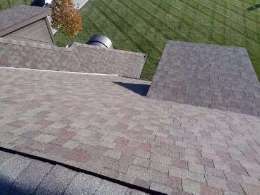 Recommend evaluation and improvement by a qualified roofer. 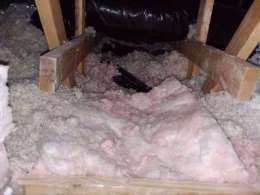 14) Repair/Maintain, Minor Defect - Ceiling insulation was uneven in some areas. 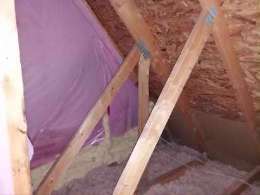 Recommend installing additional insulation where necessary to restore the original R rating. 15) Repair/Maintain - One rubber boot flashing was installed incorrectly (inverted). 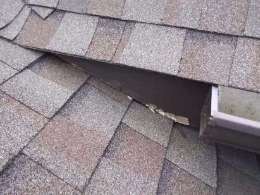 Recommend repair/improvement to prevent leaks. 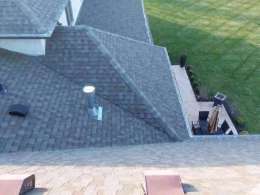 16) Repair/Maintain - Four shingles were damaged, deteriorated and/or missing, and should be corrected to help prevent leaks. 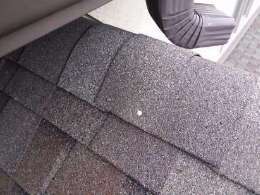 17) Minor Defect, Maintain - Roofing nails in areas had exposed nail heads. Recommend tapping down nails if needed and applying sealant to help prevent leaks. 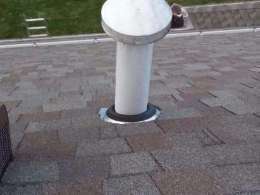 18) Minor Defect - No weatherstrip was installed around the attic access hatch. 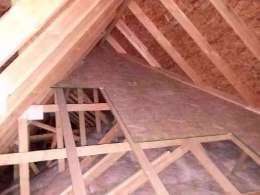 Weatherstrip should be installed around the hatch to prevent heated interior air from entering attic. 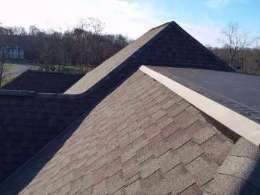 19) Maintain, Comment - Rubber membrane roofs require periodic maintenance typically every 4-5 years. Consider this product when the time arises. 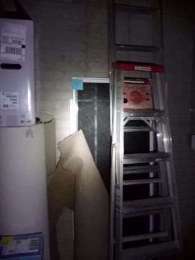 20) Comment - The attic access hatch was inaccessible due to stored items, debris, or the hatch being permanently closed. 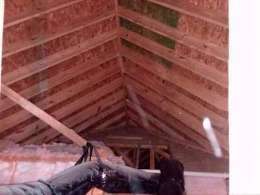 The inspector was unable to evaluate the attic, and it's excluded from this inspection. 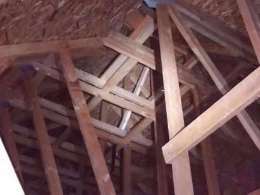 Recommend moving items or modifying hatch(es) as necessary to allow periodic evaluation of attic spaces. 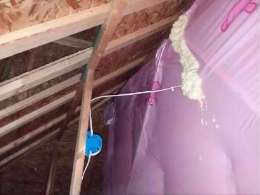 21) Comment - Some attic areas were inaccessible due to stored items, lack of permanently installed walkways, the possibility of damage to loose fill insulation, and/or low height. 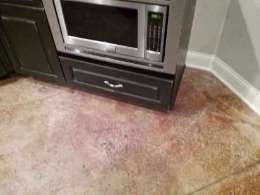 These areas are excluded from this inspection. 25) Comment - Past repairs observed. 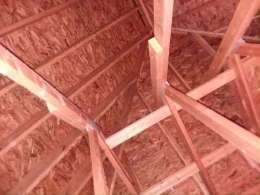 Recommend asking sellers for information. Note, the amount of pressure is subjective. Since the garage door manufactures will not establish a "pound per inch" limit, we recommend that you determine yourself what a safe amount of pressure is. 28) Safety, Repair/Maintain - The infared "photo eye" devices that trigger the vehicle door opener's auto-reverse feature were located higher than 4 to 6 inches from the floor. This is a safety hazard, especially for small children. Recommend relocating these devices so they're 4 to 6 inches from the floor. 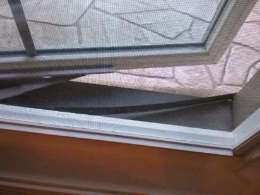 29) Comment - The automatic garage door operated. 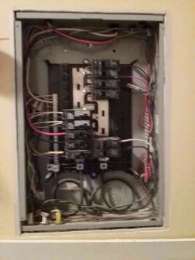 30) Safety, Minor Defect - One knockout(s) had been removed inside the main service panel where no wires and bushings are installed, and no cover(s) have been installed to seal the hole(s). This is a safety hazard. Recommend installing knockout covers where missing. 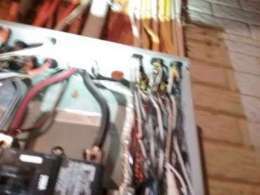 31) Repair/Maintain, Evaluate - The legend for overcurrent protection devices (breakers or fuses) in the sub panel was incomplete. Recommend updating / completing the legend as necessary so it's accurate. 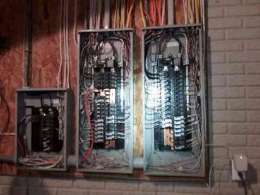 32) Serviceable, Comment - No observable concerns with the electric panel wiring. 33) Comment - Generator are not within the scope of the inspection. We noticed one was at the home. Here are key things to ask the sellers regarding it. Ask for the manual. 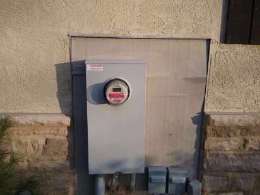 Many generators will automatically start up once every two weeks as a way to check itself ask if this one will do that. 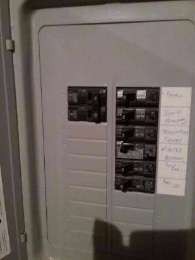 Some also will start up automatically if power goes out for 30 seconds, ask if this unit does that as well. 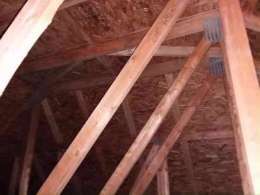 It is also great to know if it supplies the entire home with power or just a few key rooms such as the kitchen, etc Ask when the oil was last changed in it and the schedule for that. 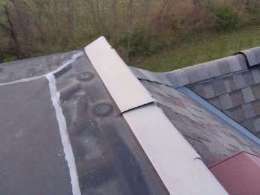 34) Repair/Maintain, Evaluate - An active leak of condensation was observed. Recommend evaluation and repair / improvement. 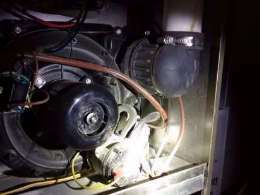 36) Repair/Maintain - The cooling fins on the outdoor condensing unit's evaporator coils are dirty. 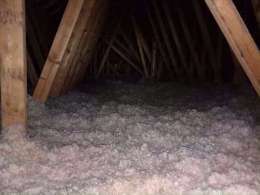 This may result in reduced efficiency and higher energy costs. 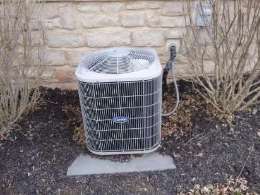 A qualified heating and cooling contractor should clean the evaporator coils as necessary. 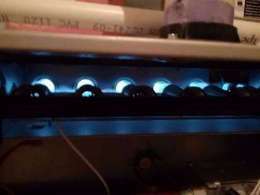 37) Monitor - Rust/stains observed in/on the furnace cabinet. 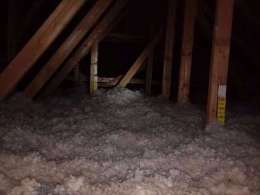 Active leaking did not occur during time of inspection. Recommend monitoring for leaks from condensation. 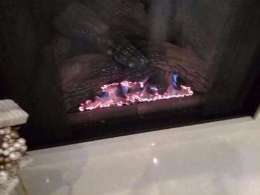 38) Serviceable, Comment - The flames on the furnace looked good. 39) Comment - All 3 air conditioner controls and compressors operated at the time of the inspection. 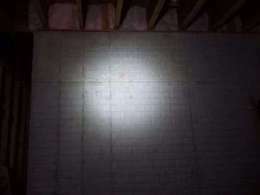 40) Comment - Our inspection of ducts is naturally limited to observable areas. 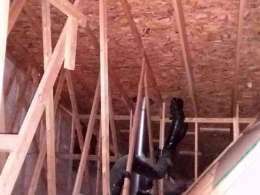 Therefore large areas of ducts cannot be seen. Since dirt, dust, mold, even toys are commonly found in ducts we recommend that you have the ducts cleaned. 41) Repair/Maintain, Minor Defect, Evaluate - The shower diverter valve for the bathtub faucet was defective. 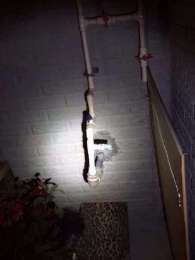 A significant amount of water comes out of the bathtub spout when the shower is turned on. Water will be wasted as a result. 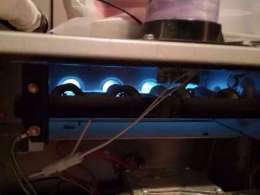 Recommend replace components or make repairs as necessary. 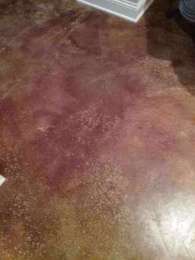 42) Repair/Maintain, Evaluate - Elevated level of moisture and/or dark staining at flooring around the base of the bathroom toilet(s) was found. Recommend removing toilet where necessary for further evaluation and repairs (wax ring replacement). 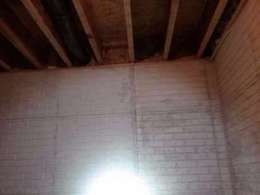 Adequate time should be allowed for enclosed, wet floor structures to dry out after repairs are made and before floor cavities are closed off to prevent mold growth. The jetted tub did operate. 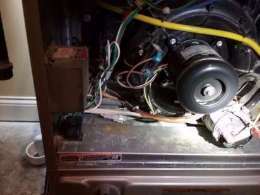 44) Repair/Maintain, Comment - The washing machine was installed over or next to a finished living space and had no catch pan or drain installed. These are recommended to prevent water damage to finished interior spaces below if or when the washing machine leaks, overflows or is drained. 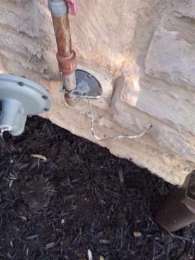 Recommend having a qualified contractor install both a catch pan and drain. 45) Serviceable, Comment - The flames on the water heater looked good. 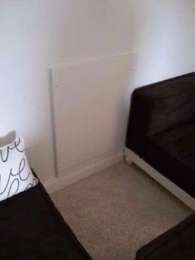 46) Serviceable - The electric water heater operated. 47) Comment - "In accordance with industry standards, we do not normally test washing machines and their water connections and drainpipes if present in the home. However, there are a few things of which you should be aware. The water supply to washing machines is usually left on, and their hoses can leak or burst under pressure and continue to flow. Therefore, we recommend replacing the rubber hose type with newer, braided, stainless steel ones that are much more dependable and that they be operated only during times you are home. You should also be aware that the newer washing machines discharge a greater volume of water than many of the older drainpipes can handle, which causes the water to back up and overflow, and the only remedy would be to replace the standpipe and trap with one that is a size larger. 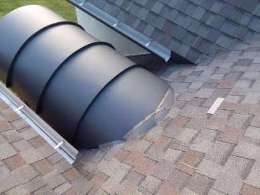 Although not required, whenever structural damage may result from an overflow, we recommend a pan with a plumbed drain. An alternative is a flood or leak detection device that will terminate the water supply in a water pipe failure." 48) Comment - It is beyond the scope of the inspection to confirm if the structure uses a septic or a publc sewer system. Recommend confirming with seller. 49) Comment - Your main water shut off location. 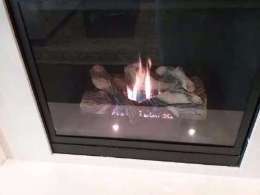 50) Serviceable, Comment - The gas fireplace/ valve operated as designed to. 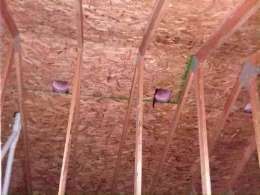 52) Minor Defect, Maintain, Comment - Minor cracks were found in the concrete slab. However they don't appear to be a structural concern and no trip hazards were found. This is common for large sections of cement. 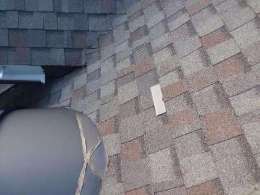 Recommend sealing to help prevent water infiltration and for aesthetic reasons. 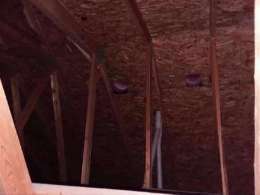 53) Comment - A moisture meter was taken to the interior of the finished portion of the basement and no elevated levels of moisture were present. 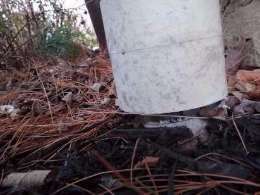 54) Comment - Sump pump operated as designed when tested. 55) Repair/Maintain, Evaluate - The dishwasher drain line was not configured with a "high loop" or "air gap". A high loop is created by routing the drain line up to the bottom surface of the counter top above, and securely fastening it to that surface. It is meant to prevent water from siphoning out of the dishwasher, and to prevent water from the sink drain or food disposal from entering the dishwasher. 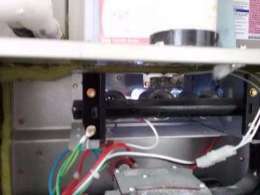 Some dishwashers have a built-in high loop where one is not required to be configured in the drain line. The clients should try to determine if a high loop is required for this brand and model of dishwasher (review installation instructions, etc.). 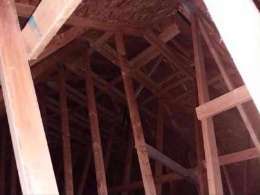 If one is required, or it cannot be determined if one is not required, then a qualified contractor should install a high loop as per standard building practices. 56) Repair/Maintain, Comment - No range hood was installed over the range or cook top. 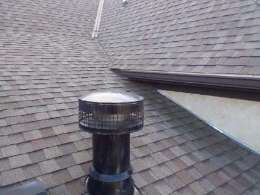 Ventilation and/or lighting may be inadequate and moisture may accumulate indoors Consider installing a vented and lighted range hood, with the exhaust fan configured so as to vent outdoors. 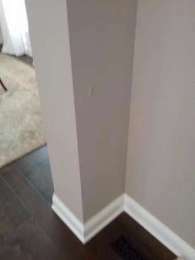 57) Repair/Maintain - Damage/cracks were found in walls in areas. They do not appear to be a structural concern, but the client(s) may wish to repair these for aesthetic reasons. 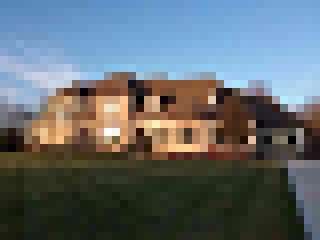 58) Repair/Maintain - 10 windows that were built to open, will not open, or open only minimally due to their being painted shut, damaged and/or deteriorated in some way. 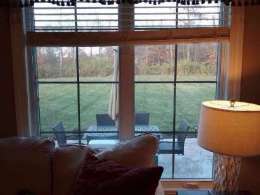 Repairs should be made as necessary, and by a qualified contractor if necessary so windows open fully, and open and close easily. 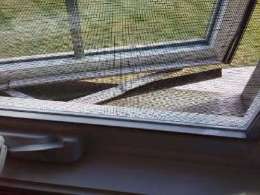 59) Repair/Maintain - Window opening mechanism on 2 windows did not function as designed to. Recommend repair. 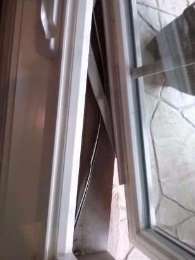 60) Repair/Maintain - 4 doors would not latch when closed. Recommend correction such as, aligning strike plates with latch bolts and/or replacing locksets. 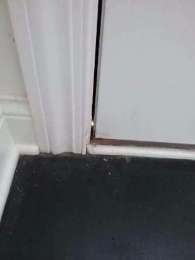 61) Repair/Maintain - The weatherstrip around the entry door was missing/deteriorated or had gaps to allow air leakage or water infiltration. 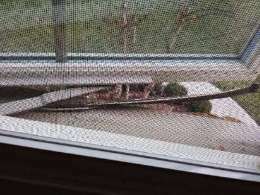 Weatherstrip should be installed where missing and/or replaced where needed. 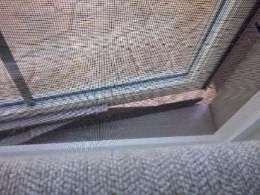 62) Minor Defect, Maintain - Weatherstrip was loose or somehow deteriorated at 6 window(s). 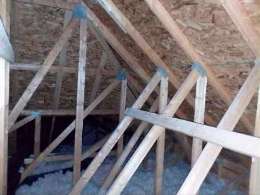 Recommend repair to help reduce air leaks. 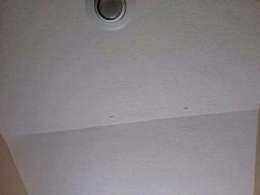 63) Comment - Minor cracks were found in ceilings in one area(s). They do not appear to be a structural concern, but the client(s) may wish to repair these for aesthetic reasons. 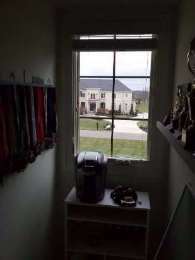 64) Comment - Stored window screens were observed. 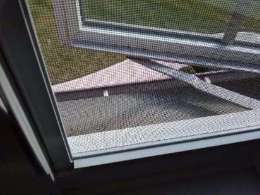 Ask sellers if all window screens are accounted for. 65) Comment - No concerns were observed. 66) Comment - The corrugated stainless steel tubing (CSST) was properly bonded for safety in the rare instance in which lightening strikes have resulted in energized gas line and fires.